Learn everything about internal marketing and why your company needs to prioritize it right now. 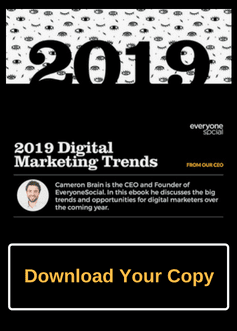 Over recent years, the world of marketing has been (and continues to be) completely re-shaped and directed by digital technologies and the internet. This is not to say traditional marketing does not have its place still, but the development of new marketing technologies coupled with the adoption of new marketing strategies continues to accelerate. 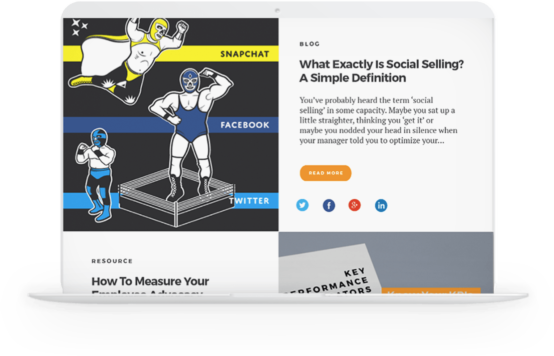 Inbound Marketing: It’s about attracting customers through relevant and helpful content and adding value at every stage in your customer’s buying journey. Via inbound marketing, potential customers find you through channels like blogs, search engines, and social media. Outbound Marketing: A more traditional form of marketing (or at least one with a longer history), where a company pushes its message out to an audience. Outbound marketing focuses more on the traditional forms of marketing and advertising like TV commercials, radio ads, print advertisements, trade shows, outbound sales calls (cold calling), etc. Account-Based Marketing: A new strategy and trend in the marketing world that’s gaining a lot of traction and attention. Account-Based Marketing (ABM) is about marketing to a specific company (account), or sometimes to the individual (generally depends on the marketer’s sophistication, really), with a personalized message/content. The idea is that the more targeted the effort the better the results. These are just a few examples of the top marketing strategies all of which can play in an important role in the success of your marketing (others that come to mind, depending on your industry include influencer marketing, affiliate marketing, and external marketing). Yet one of the most important and burgeoning forms of marketing is internal marketing. As we’ll explore, internal marketing is particularly relevant to B2B companies looking to boost their lead flow and reach a larger audience. Internal marketing is the promotion of a company’s objectives, mission, products and services to its own employees. Essentially, it’s your company marketing its products, services, and brand to its own employees. Where instead of “selling” to the public or potential consumers, your company instead sells to its employees. 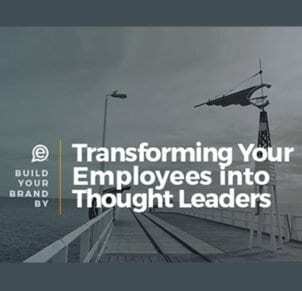 The purpose is to improve employee engagement within, increase overall brand reach, and also that employees can now provide value to potential customers because they believe in and understand the company’s goals and vision themselves. Internal marketing is based on the idea that customers’ attitudes toward a company are not just based on the product or services, but the overall experience they have with the company. This can mean customers interactions with various employees in different departments (not just customer service teams) or prospects engaging with employees online via social, email, forums, etc. Traditionally, internal marketing efforts will be led by HR folks, but to take internal marketing a step further, initiatives from the marketing leaders will be essential for success and of course, for growing the brand too. As mentioned above, a lot of what internal marketing was (and is) has to do with informing and educating employees on the company. This will primarily and traditionally be in the hands of the HR teams. Ensuring employees know that their contributions matter and are essential to the success of the company. However, internal marketing has become more than just that. In fact, the term and strategy should be slightly re-defined to not only selling the products or services to your employees but getting your internal workforce to become an extension of your marketing and sales teams. Now more than ever, getting employees involved in the marketing and sales process will greatly benefit the results of your overall business. Often, the main overlooked resource in the marketing and sales of a business is the resource that shows up every day to the office: employees. Especially with B2B companies, generating more quality leads and closing more deals is always a challenge in the space. Additionally, getting your brand seen online also is getting tougher as more and more companies pump out content and information daily. It’s incredibly easy to get buried and lost in the online abyss of information. “Studies have shown that 74% of new age buyers are doing their research online. 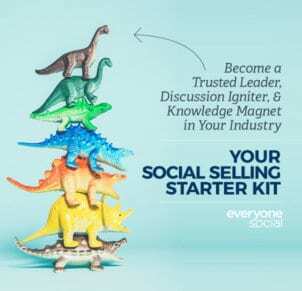 In this scenario, the 21st-century seller needs to raise the bar with relevant customer interactions and aim for higher levels of engagement.” (Source). This above quote is exactly why internal marketing is so important for B2B and ensuring employees understand the value and genuinely believe in your company. Yet, the quote also shows why internal marketing needs to extend beyond just the HR initiatives of internal marketing. Employee’s at your company should be seen as the most trusted resources that are available. Afterall, your company hired these individuals for their skills, work ethic, and for their enthusiasm for the job at hand (or at least these are the employees your company should of hired). Yet we can break it down a bit further. This shows us that for internal marketing to fully work to your company’s advantage, employees should feel empowered to talk freely about the brand online. Once there is a workplace culture established, some simple social education and training, your company needs to trust them to talk about the brand openly online wherever that may be. Employees should especially feel encouraged to share on social, as this improves current customer relations and encourages prospects to trust the company more and value the insights employees are sharing. Engaged employees who understand the company product/services/mission will make better salespeople and marketers. Thus, greatly improving your company’s online visibility, increasing the quality of leads, and generally bringing more traffic to the company website. Not only are the internal marketing efforts to educate and sell the employees on the business, but now, in turn, is to have employees market and sell on your company behalf. Staff who not only believe in the brand but are given the trust to be the brand’s human voice as well, naturally become brand ambassadors who vouch for the business and its product, both on company time and off. A win-win. Of course, with any good strategy to be in place, you need to build an action plan. This not only ensures you are not going into the process blindly but can find areas that may need to be improved or altered. 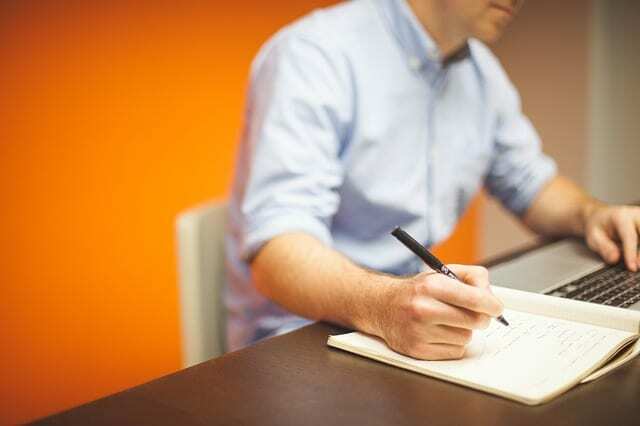 Internal marketing tactics should be carefully laid out and by following the below steps, you’ll be on your way to maximizing a solid internal marketing machine within your company. Getting your HR leaders involved initially is important for establishing processes and communications with employees, but you’ll want marketing leaders and business leaders or management that understand the brand the most. These leaders will help establish the work culture, communicate the mission of the company, and sell employees on the product/services best. Before you can start anything else, getting your team leads together is important. Generally, whether you have a formalized one in place or not, some form of internal marketing is probably happening within your company. Unfortunately, it’s also probably not that good. This is a good time to identify and assess aspects that are considered an internal marketing tactic. From there you can start understanding if it’s working, what should change, and how to make it more personal, or if you need to start from scratch. A good way to evaluate is to survey all employees to see what they know, don’t know, their views on the company, etc. to start correcting any branding gaps. After collecting information, your better able to align the company marketing messages and get everyone on the same page. Of course, you want employees to have their own personal touch when it comes to how they talk about the company, but they all should have a similar perspective on the product/services. This is also where non-required training sessions and open forums should be created, where employees can openly suggest ideas, ask questions, and provide safe criticism. By having these sessions, it opens the trust and dialogue among the workforce. Plus, it allows your company leaders to share materials and encourage everyone to engage on behalf of the brand online. 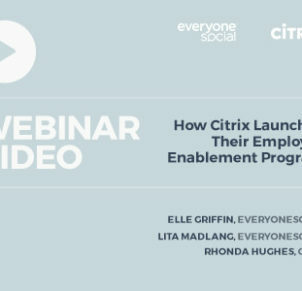 Again, a major part of the new internal marketing is allowing employees to actively engage online and sharing, via social, email, chat, forums, etc. This is what employee advocacy is typically defined as and is a huge piece to internal marketing these days. Many companies try to just send a newsletter to their workforce of the latest content or news, but many times it gets buried or ignored. To make it easier for everyone to get involved (especially companies of 200+ employees), an employee advocacy program will be crucial for internal marketing to work effectively. These platforms are used as a centralized location for hosting field marketing/sales materials, new company content, personal content from third-party sources, and company announcements which employees can share directly to their networks right from the platform. Even after you have a formal internal marketing strategy in place, great work culture, employees on the same page and engaging online on behalf of the brand, you’ll still need to be open to feedback and working on improving the tactics. Continue to provide training or meetings for open discussions, adjust processes if something is broken or continual negative feedback, keep employees constantly in the know of what’s going on and take their thoughts seriously. Re-evaluate as often as need, your work should never feel too comfortable because that’s when mistakes or obvious improvements are missed. 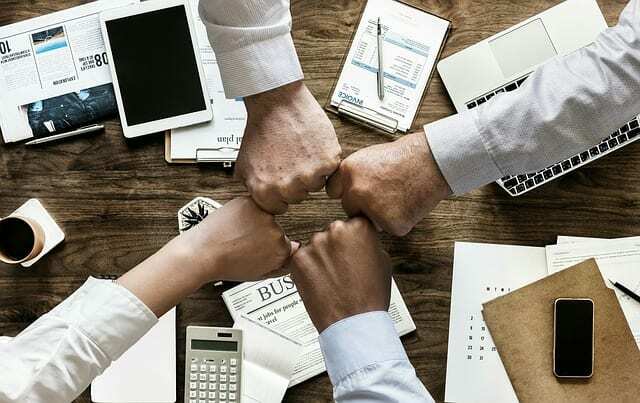 When employees believe in the brand and are engaged in your company initiatives, they generally are going to be motivated by their work, more loyal to the organization and are more likely to be powerful marketers and sellers (brand advocates), spreading your company message. This is exactly why internal marketing and having a strategy in place is essential to the success of your company brand. If employees are in the dark or unaware of their company’s goals, products, and services, there is a huge gap in effectiveness with customers and prospects. The important aspect to remember about internal marketing is it has extended far beyond HR and communications initiatives. With the growth and value of social media and potential customers or prospects being able to research more closely online, your marketing leaders can help lead other employees to get involved in online conversations. Hopefully, the above has helped you realize why internal marketing should be a priority within your company or help you adjust your current internal strategy (if one is already in place). Do you see internal marketing being a huge aspect of your company’s success? Dell focused on internal marketing by encouraging employees to get active on social media, sharing on behalf of the company. 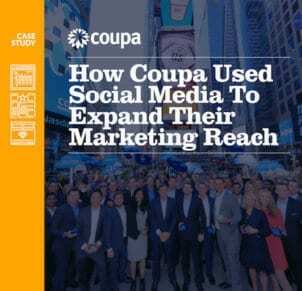 Learn how the tech company got 10,000+ employees to engage as active marketers and sellers.